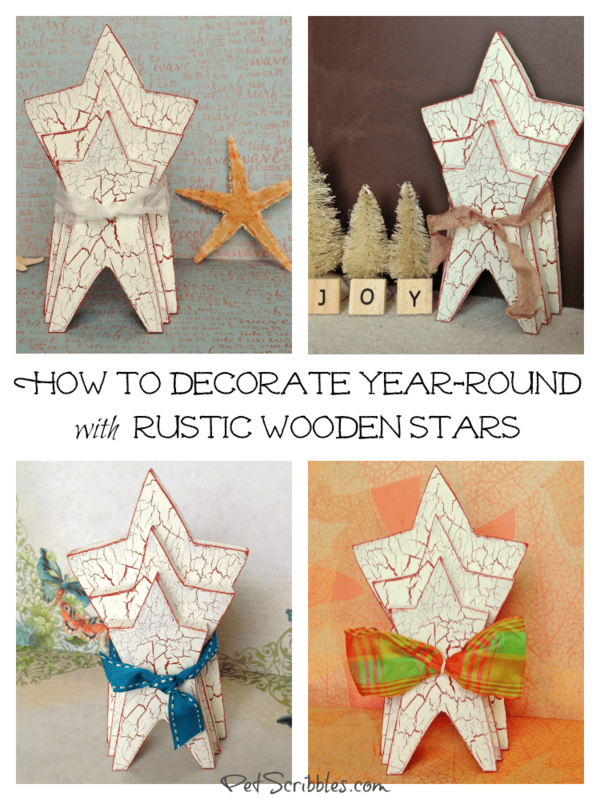 How to use rustic wooden stars year-round. 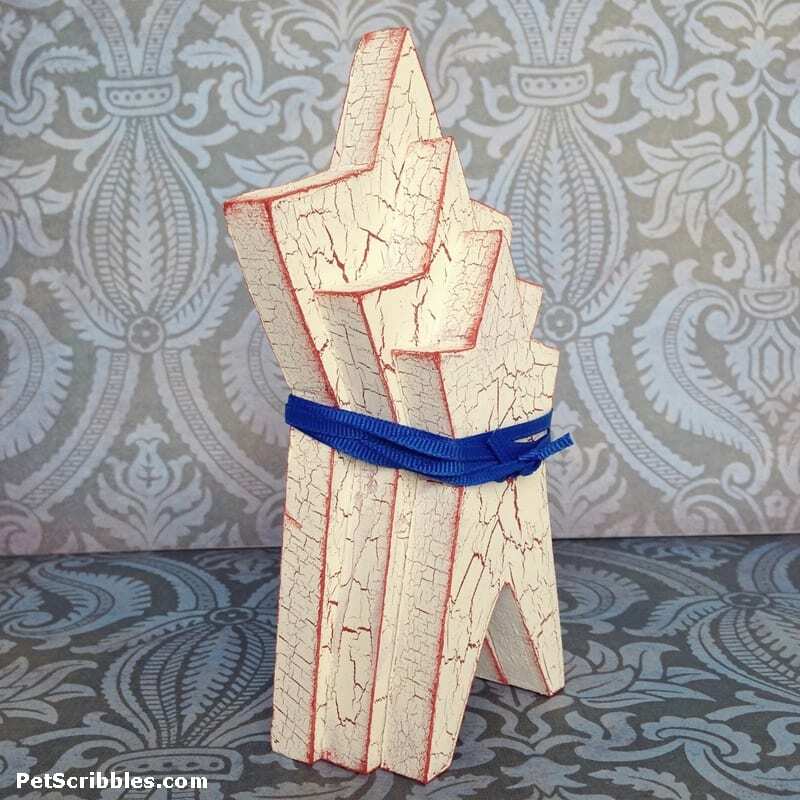 It’s easy to work them into all of your decorating vignettes with just a few changes of ribbon! 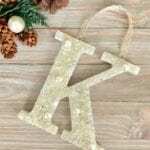 Why box up your beloved decorations that you enjoy having around just because you’re unsure if they will “go” with your other seasonal decorations? 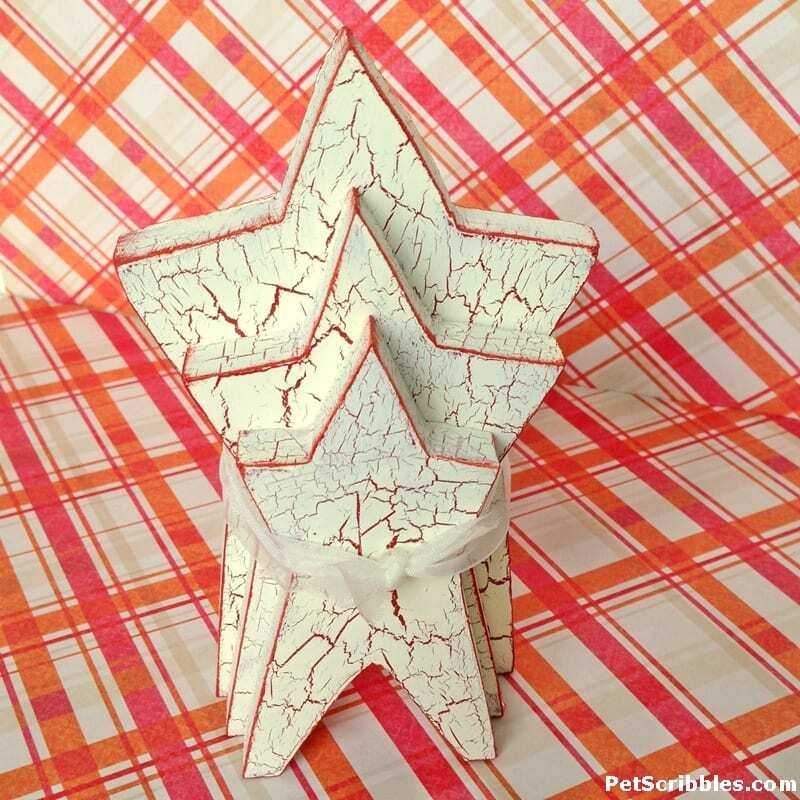 You can easily make them part of your decor year-round! That’s what I love to do when decorating for the different seasons or holidays: use what I already have out and displayed just by making a simple change or two or three. 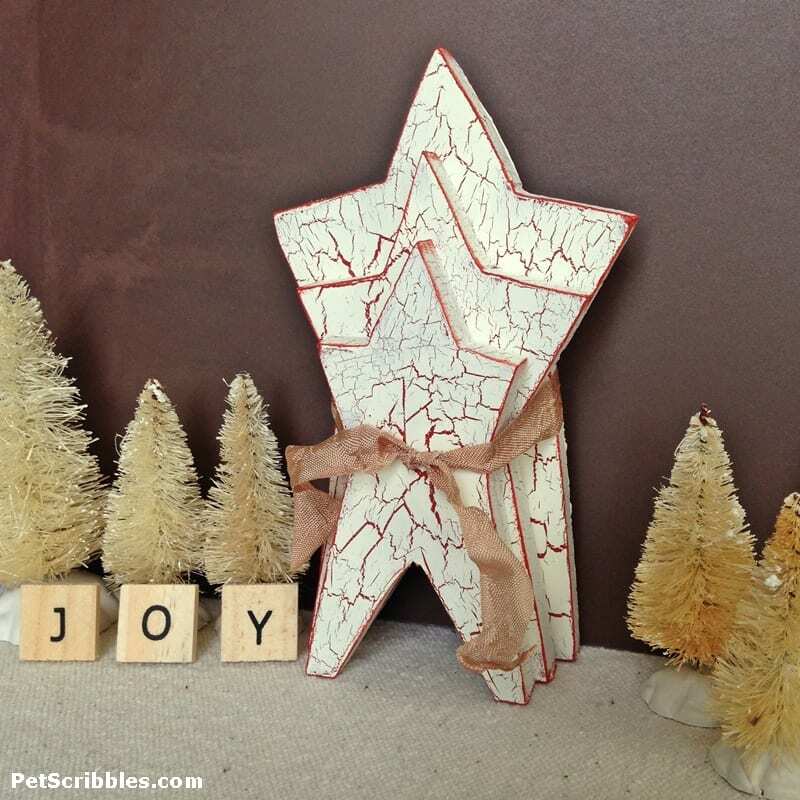 I made these Rustic Painted Wooden Stars the other day . . .
. . . and I want to show you how to use these stars year-round in your home decor. Change your ribbon and change the season or holiday! 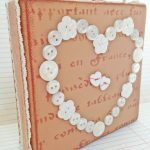 I gathered some seasonal scrapbook papers to use as backdrops. I’ve kept my own decorating vignettes to a minimum here on purpose, as I want these images to be a creative jumping-off point for you . 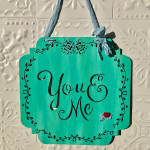 . . a way to inspire you to use what you already have and love and enjoy. 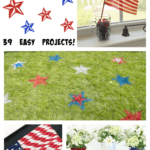 For patriotic holidays, stars are a no-brainer! 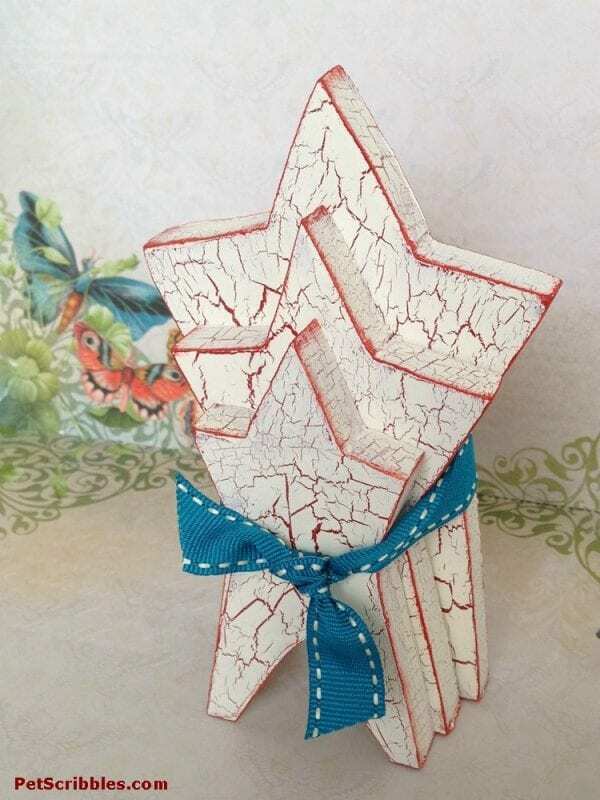 I used a skinny blue ribbon, for that red/white/blue effect. 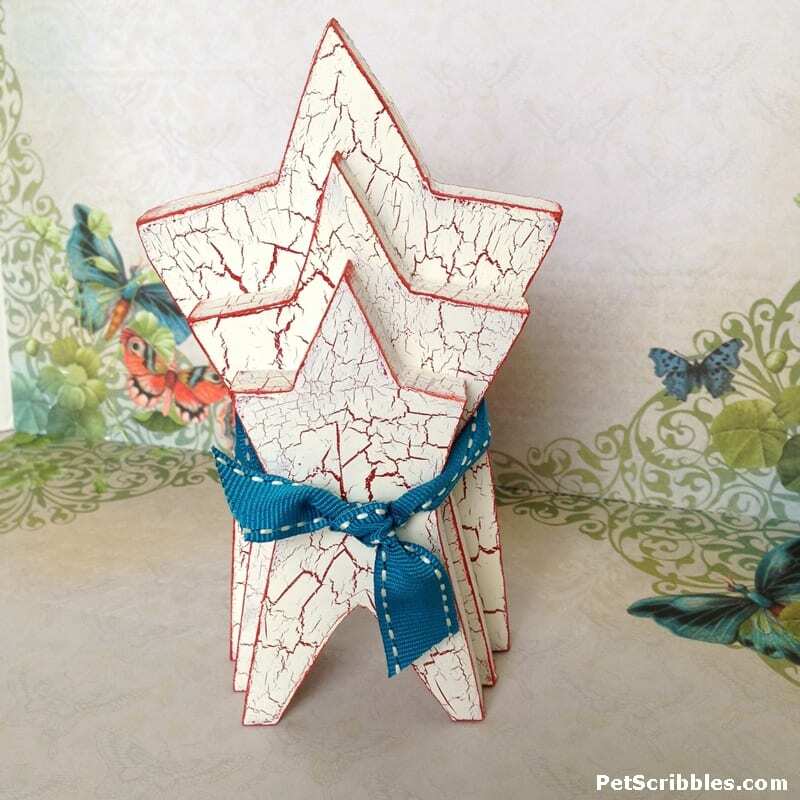 Or you can turn the stars around, especially if the other side is painted a different way. 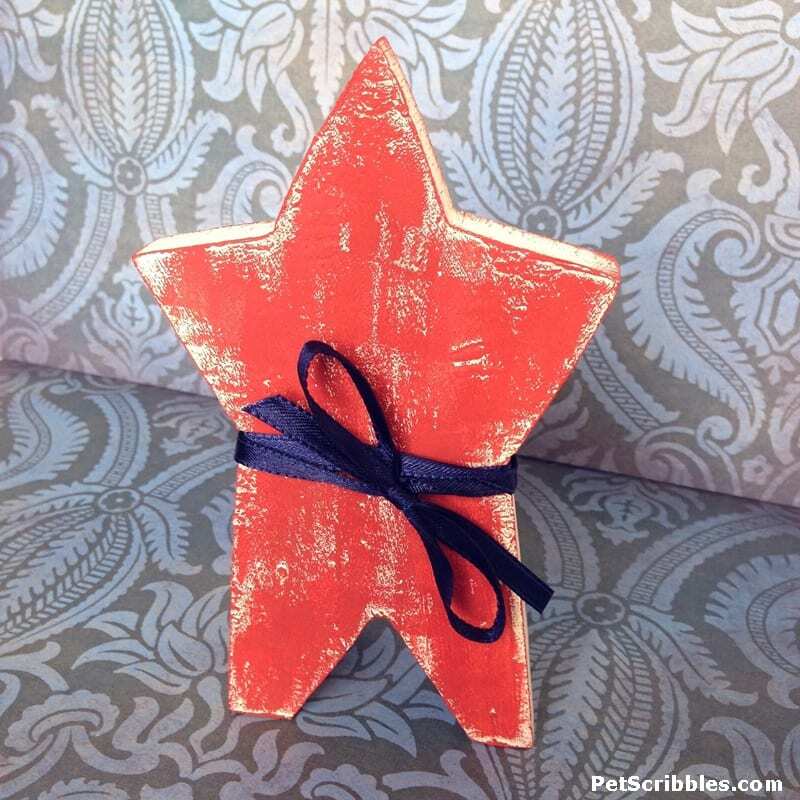 I took advantage of the largest star painted in red and tied on a navy ribbon for a more country vibe. 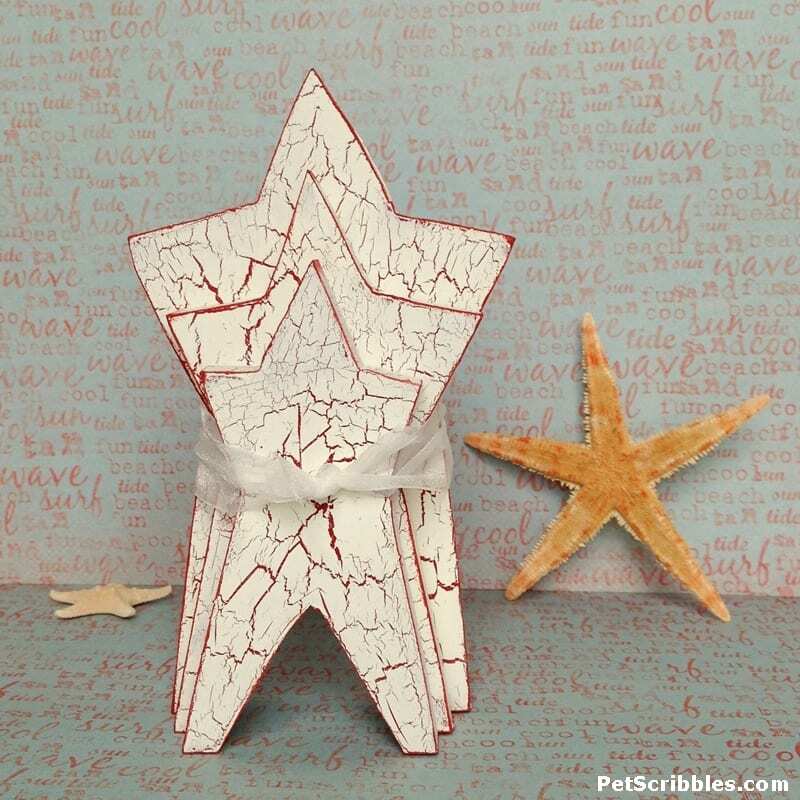 For the Summer months, many people like to decorate using beach and nautical themes. 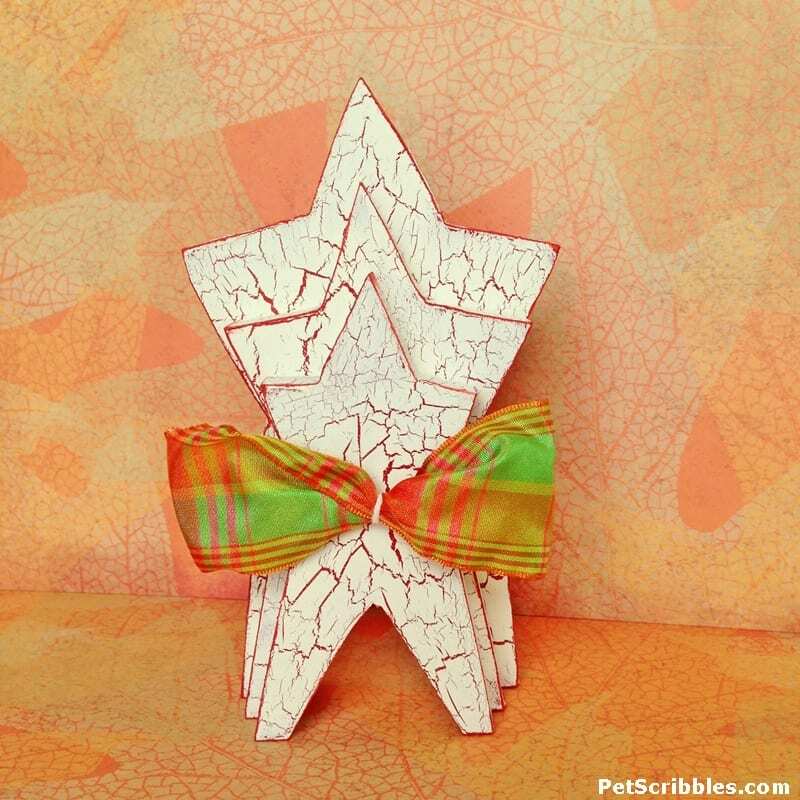 Tie a sheer ivory ribbon onto the stars and display with some starfish. 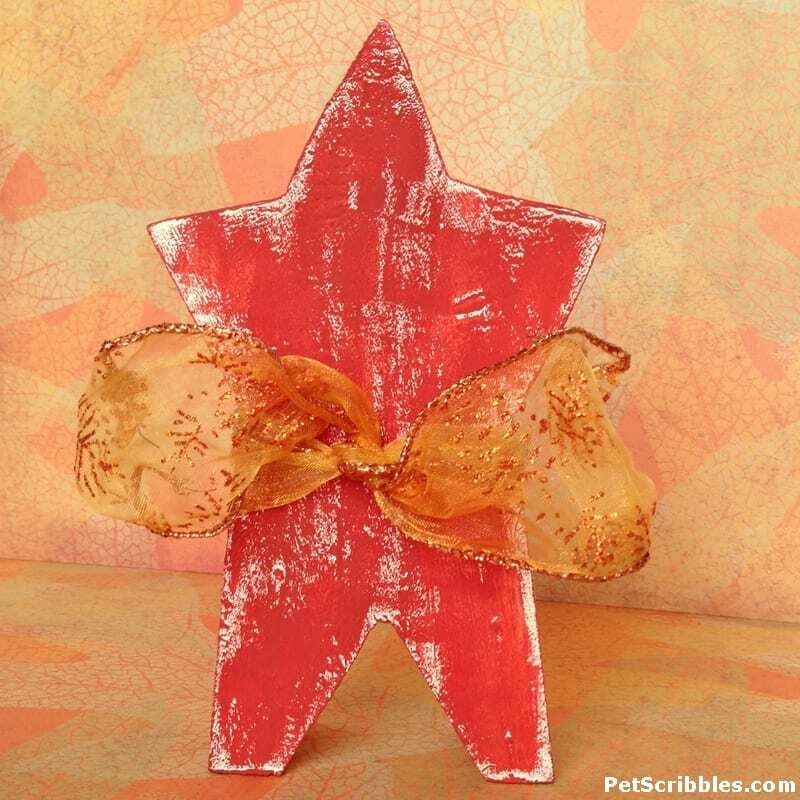 For Fall decorating, capitalize on the reddish shade having some orange in it. First I tied on a sheer orange wired ribbon and kept the red side facing out. And here I took a leftover wired ribbon scrap in matching plaid colors, tied string through the center of it then attached it to the stars. I shaped the wired edges to make it look like a dapper bowtie. 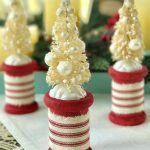 Christmastime is one of my favorite times to decorate, and I’ve been adding in more white and ivory colors into our holiday decor. 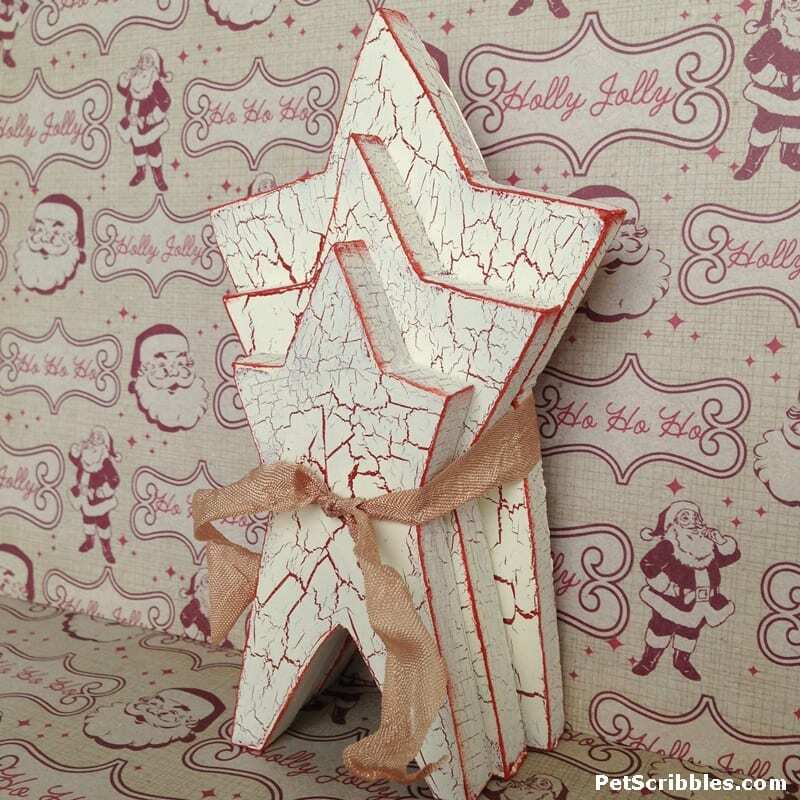 I wrapped some vintage seam binding in a dark beige color around the stars, and now they look like something you’d find in a store during the holidays! And here’s a little mantel display that I put together in just a few minutes yesterday — which felt great since the temperatures are in the high 90s outside as I type this! 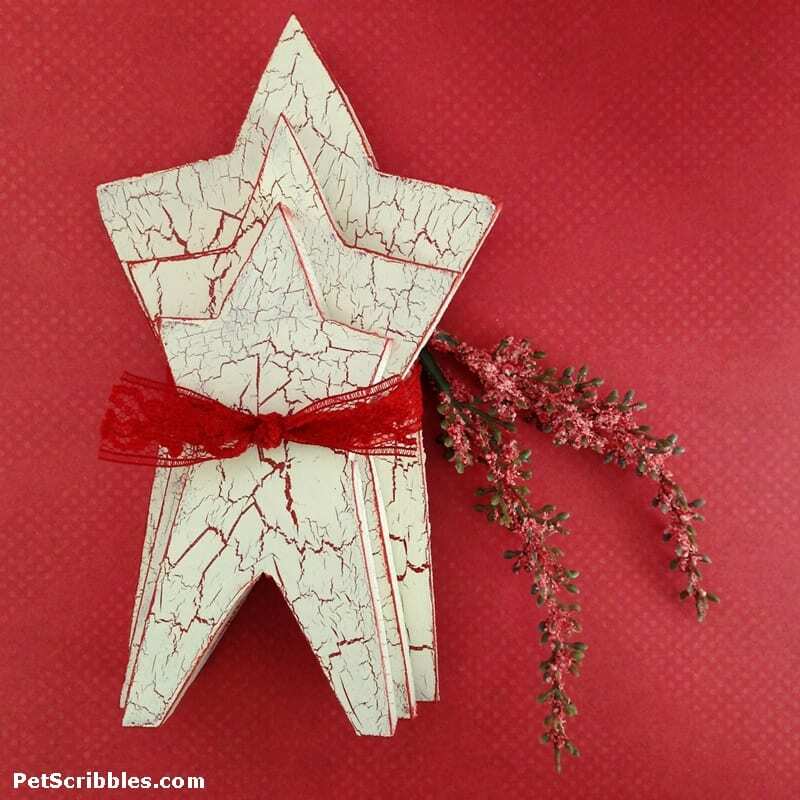 Valentine’s Day is all about hearts, not stars. But see what adding a bit of vintage lace seam binding and a few stalks of faux Heather can do? Now these stars fit right in! And when the Springtime decorating bug kicks in, you can use a fresh, vibrant ribbon color like I did here. 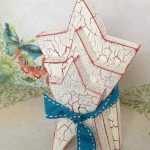 You wouldn’t think about putting stars and butterflies together for Spring, but matching up the ribbon to the butterflies makes it work. This pretty ribbon, by the way, was on a Sundance Catalog gift box that I received last month. I always save ribbons like this one, as you never know when they’ll come in handy! As you can see, the decorating possibilities are endless just by switching out ribbon. I hope I’ve inspired you! And if you want to see how I store all of my ribbons – check out my Ribbon Scrap Jar DIY, which has truly streamlined my ability to quickly find what I need.